When did we wrap our arms around a culture that defines us, often almost entirely, by what we own? Can stuff really buy happiness? There’s psychological support that, for many people, there is immediate gratification that takes place when we acquire something. But then, the new becomes old very quickly. Dissatisfaction sets in, and the desire for “more” comes right behind it. The new possession only filled that need in the moment. We forget what’s important in our “I want/I need” society. Instead of moving stuff out, to let more human connection move in, there’s a subtle shift where the physical stuff of life assuages emptiness, pain, or discontentment. Then, “ownership” becomes so important that a slow degradation of relationships takes place, as possessions take power. We’re told, prodded and convinced that without all “the things of life”, we won’t be happy or fulfilled. we need more stuff to be more fulfilled. I’ve walked through the process of “cleaning out” the homes of loved ones, with many people. I’ve still not come across even one home where the only things taking up residence there were used and/or valued. Typically, there are boxes (sometimes a dozen, sometimes 100s) just filled with stuff, and each box has to be sifted through to make sure there’s “nothing of value” hidden among the junk. There are closets full of clothing—price tags still on— that has never been worn, and cabinets stuffed to overflowing with items that have never been used. We have food in our homes that actually expires before we can consume it, while there are 40 million people, in our country alone, who are food insecure. We buy products that are built with “planned obsolescence” that we can, when necessary, simply dispose of into landfills. In this first world country we live in, we’ve developed an insatiable lust for stuff. We spend our money on possessions—we clean them (or clean around them), we trip over them, we insure them, we can’t find them in the chaos, and we create relationships with them that rival those we have with each other. And, sadly, in the process of “buying” more stuff, we’re “selling” our time. When the place we call “home” becomes a dumping ground for possessions, we shrink. 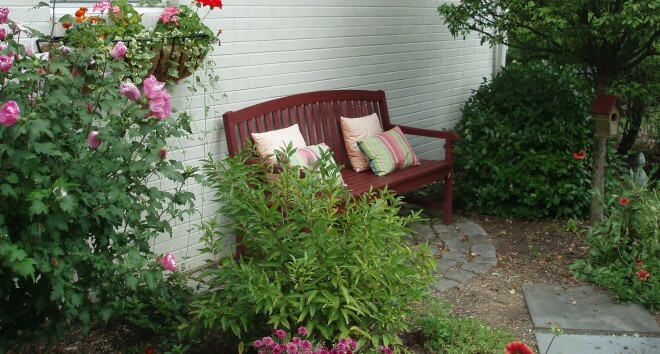 Clutter roots us in our space—just like a plant that’s root-bound in its pot. So, if you’re stuck in a home that doesn’t add to your life, or if you live with so many possessions that you don’t even know what you own, consider making a change. Before you can do that successfully, however you have to understand what makes you tick. In class, the first thing I talk about are the reasons we hang onto, covet, or build our life around “things”. 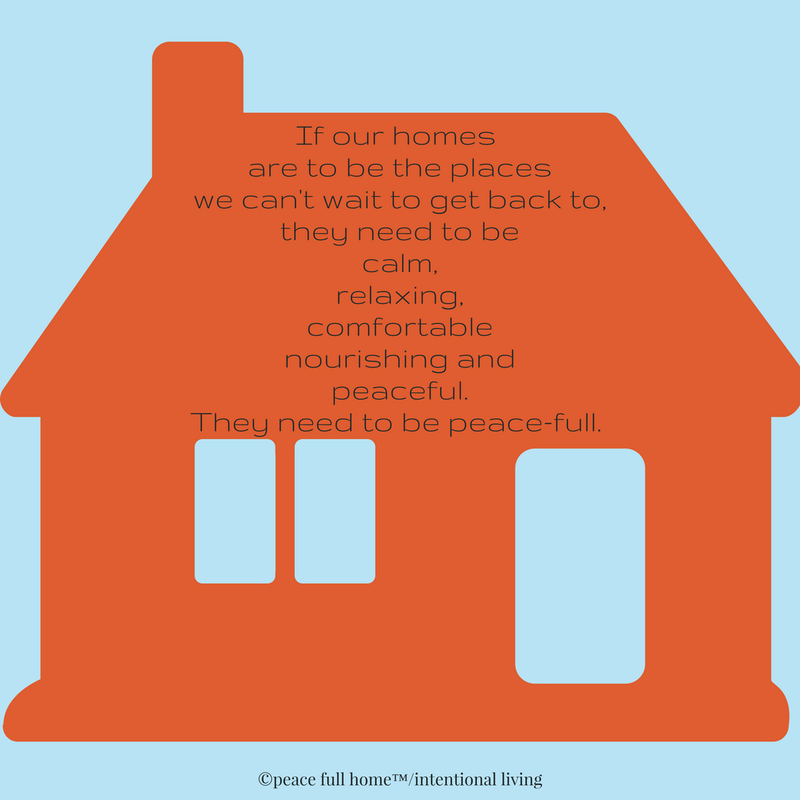 A peace-full home takes dedication and desire. It doesn’t simply happen one day. It requires us to sit down and evaluate what really matters to us, then take action. and the way we’ve walked through this space in time that will matter. At that time, all the rest—all the material possessions—will fade away. This entry was posted in Peace Full Home and tagged breathing space, clutter, Home, junk, loyalty, organizing, Peace, Peaceful Home, possessions, stuff. Bookmark the permalink. This article hits home for me and my clutter. I grew up with the ‘we might need it later’ mantra and also, the reminders of the past are happy memories. Last weekend my son moved to Philly and I had enough ‘stuff’ to furnish his apartment. That fact probably horrifies you!! I am making an effort to let go of my things. Thanks for the incentive!! Thanks for writing, Pam. The fact that you had enough for your son’s apartment doesn’t horrify me at all. In our “more is more” culture, most of us are in the same situation. We’re told (led to believe) from the time we’re very young that possession of things equals success. Even as somewhat “enlightened”, and aware, humans we keep going back to those patterns. Baby steps…..
You always rock Kay. This is such a wonderful article hitting the nail right on the head. I need to print this and keep reading it. Thank you. Thank you for channeling your thoughts to the printed page. I’m not sure when it happened but I am glad that shopping never became a pleasure for me. You have previously touched on ways that are a struggle for me but the accumulation of things is not one of them. Grace and peace be yours. Being unencumbered but the “stuff” of life can be very freeing. Thank you for modeling that so well. Grace and peace to you as well, Dan. You made a lot of good points and I know I fall into the category of clothes in the closet with price tags on them. It’s a bad habit and one that I’m consciously working on. It’s so easy to get wrapped up in consumption in our disposable society. Thanks for the meaningful message! So many of us simply buy things without thinking about the “why” behind it, or what we’re throwing our resources at. In spite of writing/preaching/teaching about it, I, too, end up with things I have to return because I end up asking, “Do I really need this?” Thanks for sharing, Betsy.